As summer seems to be getting nearer and nearer by the day, the award-winning Creamfields, one of the best festivals in the UK, will announce the line-up for this year’s festival exclusively on BBC Radio 1 from 7pm on Friday 2nd March. The event, which has sold out over the last three years also scooped the award for ‘Best Dance Event’ for the third year running in the UK Festival Awards. Returning as a three-day camping festival, Early Bird two day (£100+BF) and three day (£120+BF) standard camping tickets are currently on sale, with this offer ending at 7pm on Friday 2nd March when it will increase to £115+BF (two day camping) and £135+BF (thee day camping). Standard and Hospitality day tickets and two day non-camping tickets will also be released. 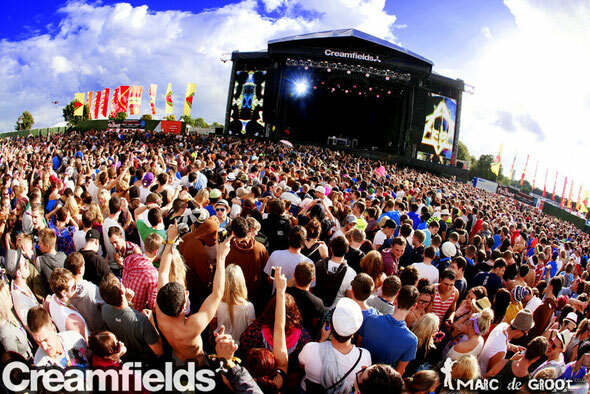 Creamfields returns to Daresbury in Cheshire on Friday 24th, Saturday 25th and Sunday 26th August Bank Holiday weekend.